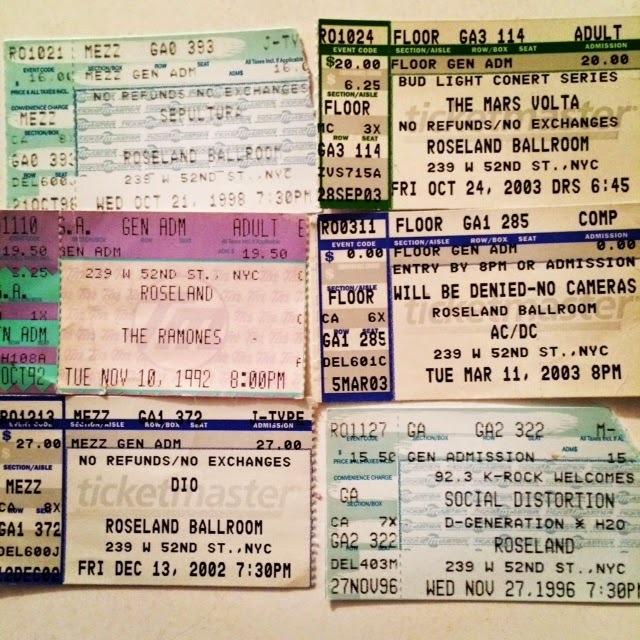 It's fair to say that I've spent a lot of time inside midtown's Roseland Ballroom. From big acts like AC/DC to the dozens of Slayer, Pantera and countless other shows I caught there - it's been a fun place to see gigs since my teens. 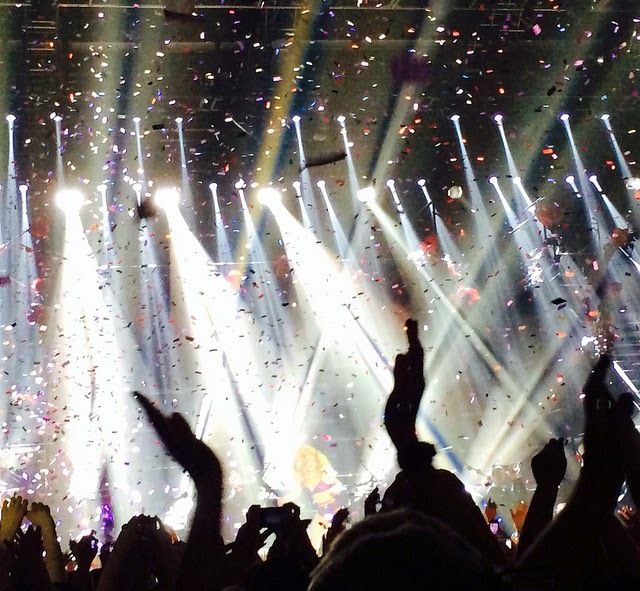 Last night, I went to pay my final respects at Lady Gaga's closing run of the place; the second-to-last night they'd ever hold concerts at Roseland. Though I'd be lying if I said I didn't wish it wasn't a harder act I saw there last, I appreciate Gaga's reverence for the place. She's a native New Yorker, so she understands the space was more than just a slab of real estate, it was a temple where tons of music fans like myself went to worship the thing holiest to them: music. If you're not in NYC - or couldn't get tickets, here is a link to where the Roseland's last show will be broadcast tonight, starting at 9pm ET right HERE. 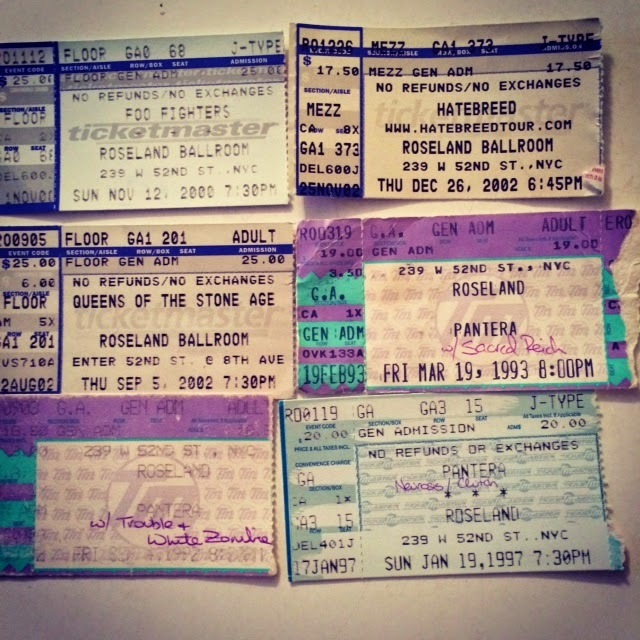 Posted below are some of the stubs I found from my history with the venue. If you look at the dates, you'll notice one of my many Slayer shows was less than 24 hours from a remarkable Hole show during the Live Through This period. 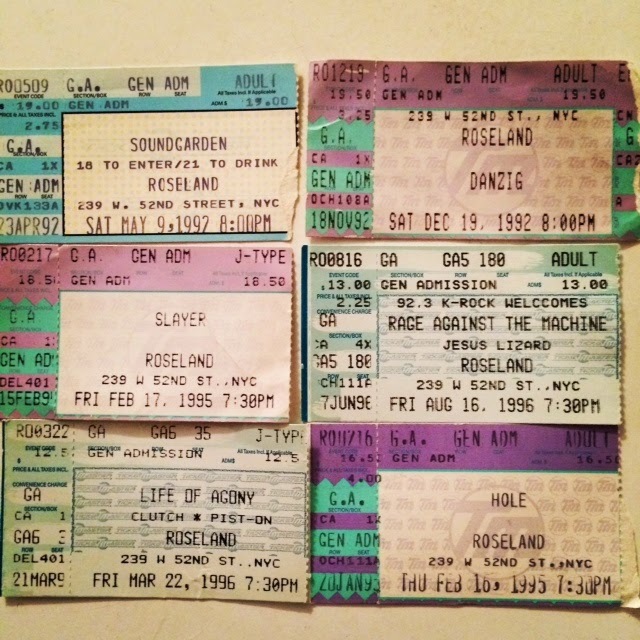 RIP Roseland, I'll always have my memories... and dozens of ticket stubs. The rest of my iPhone pics of Gaga's show (including the moment she climbed a rose-encrusted ladder - in heels - up to VIP to serenade Tony Bennett) can be found here. Don't call it a comeback... I'm picking up where I left off, writing about pop culture and whatever else I feel like. Zena Tsarfin. Digital Content & Marketing. Social Media. Editing & Writing. Metal Chick. World-Class Contrarian. Former Celebrity Ghost-Tweeter. I *am* that rock star hire.